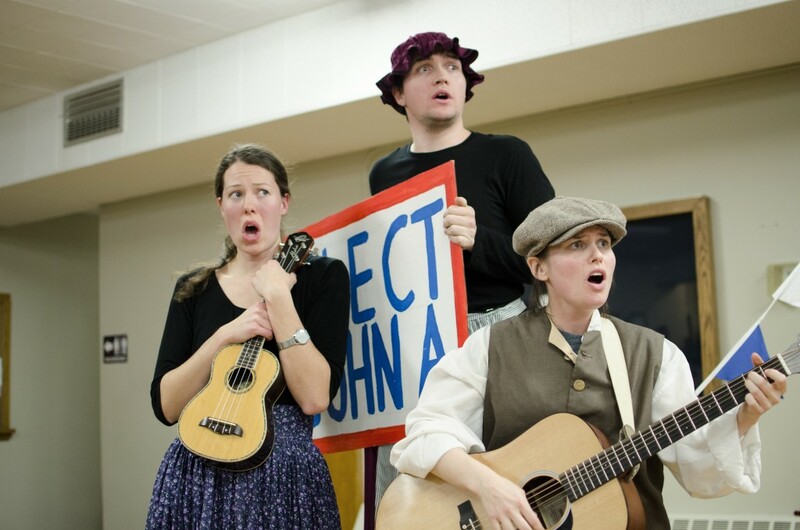 Following Macdonald Week in 2015, our SALON actors took Sir John, Eh? The Road Show to school in Kingston and across Eastern Ontario. The show, which launched on January 11, 2015, Macdonald’s 200th Birthday, focused on local issues and dealt with themes such as honesty and accountability. In true SALON style, Macdonald was portrayed as neither a villain or a hero, but rather was portrayed as a fallible human who ultimately made promises he couldn’t keep. 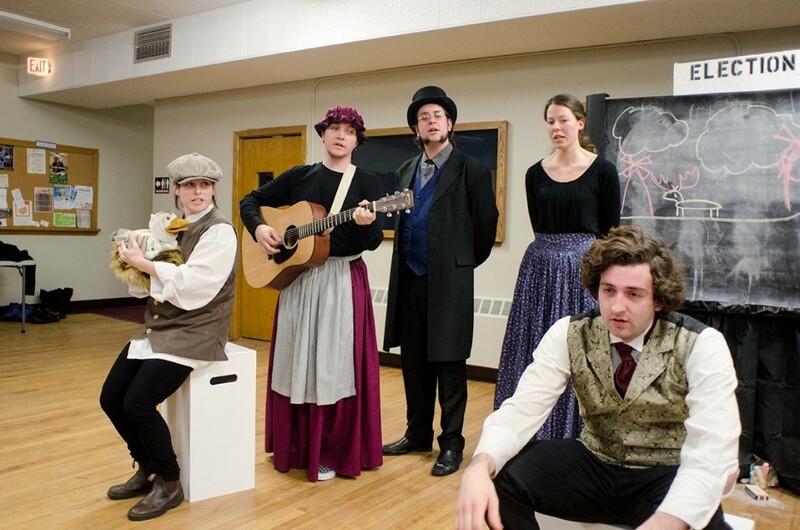 Although the plot was fiction, dealing with the construction of windmills in Kingston, there was much that resonated both with elementary-school aged children and with adults.